See what’s coming and tell us what you think! Share your feedback by February 16! STA needs to hear your thoughts on the CCL station designs! Please visit the Online Open House to learn more about the station designs and provide feedback. Your input is key to making sure the CCL best serves everyone in our community! The Central City Line (CCL) is a six-mile corridor-based Bus Rapid Transit (BRT) system, the first of several high performance transit projects included in the Spokane Transit Authority's (STA) Moving Forward transit enhancement plan. The CCL will provide high performance transit service connecting Browne's Addition, Downtown Spokane, the University District, the Logan and Chief Garry Park neighborhoods, and Spokane Community College. The new service will feature battery electric buses providing frequent service along the route. The CCL supports and builds on the growth in new businesses, jobs, residents, and higher education occurring in Spokane today. The University District and Downtown, and the economic, cultural, and educational heart of the greater Spokane region, are growing rapidly and need frequent, high performance transit to serve travel needs today and in the future. Voters approved Proposition 1 in 2016, affirming the need for more transit service in our community. Frequent service. Every 10 minutes, or less, for most of the day, every 15 minutes nights and weekends. All day service. Earlier in the morning, later at night, and on the weekends. Distinct look and feel. Distinct stations and specially branded, higher-capacity vehicle. 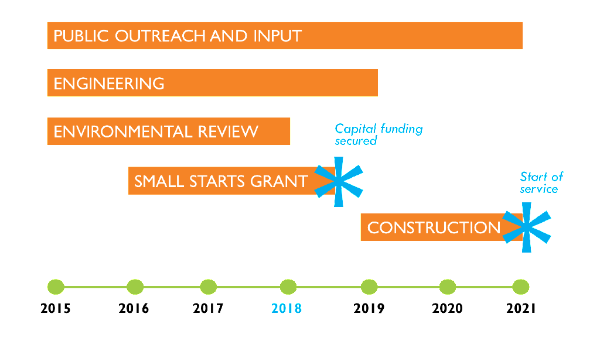 The CCL is currently in the “project development” phase, which includes finalizing the environmental review process, securing all funding for construction, and advancing project design. 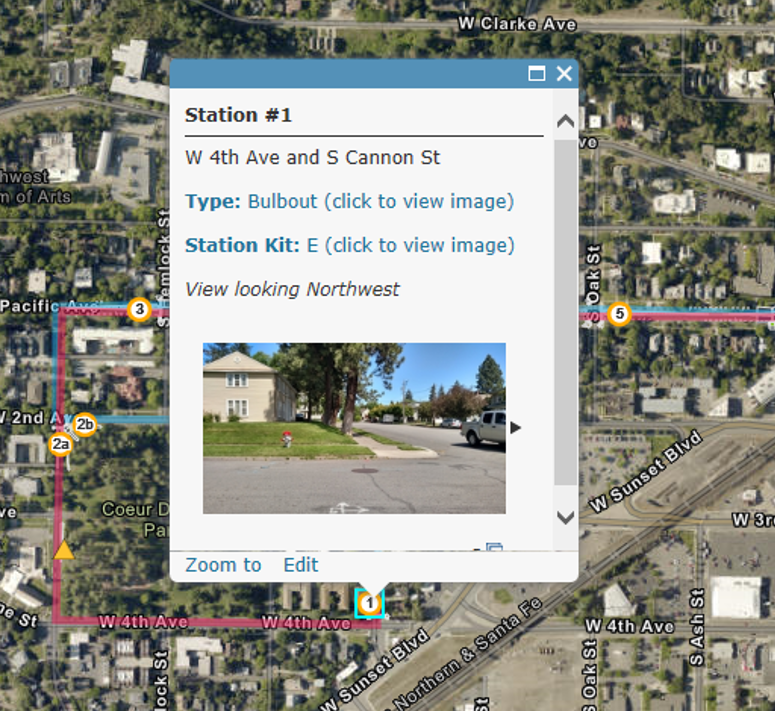 Throughout this phase, STA has engaged the Spokane community to refine station designs and gather key input needed to advance the project to final engineering. Throughout 2016 and 2017, STA held open houses to gather feedback from the community on the station locations, designs, and potential station amenities. 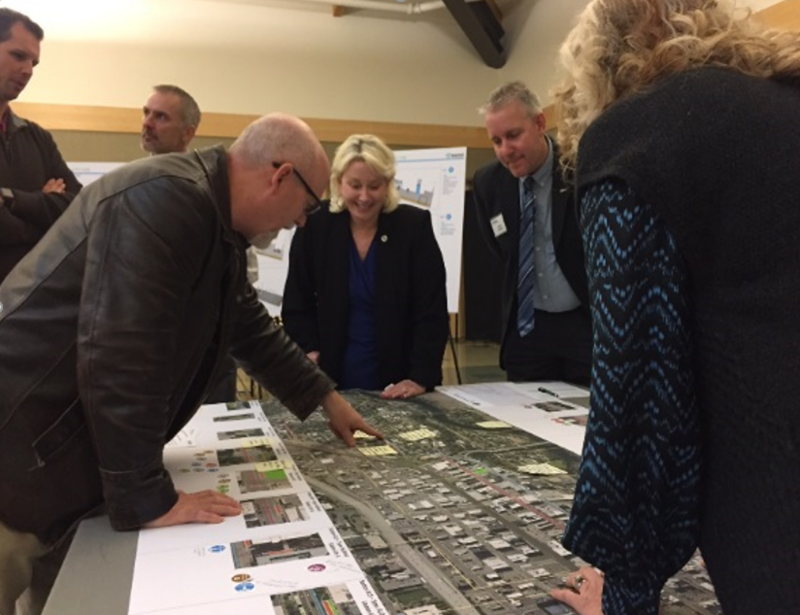 Community feedback was very helpful to the project team in understanding concerns about some stop locations and hearing what amenities–like seating or lighting – are desired at specific stops. The project team is also working with Spokane Arts to explore opportunities for including neighborhood-specific station features into the designs. Though station locations are now set, small adjustments will occur as engineering advances. STA has an interactive project map which shows the CCL’s route, station locations and proposed improvements throughout the entire corridor. STA submitted documents in support of a $53.4 million federal “Small Starts” grant that would fund most of the CCL’s $72 million total project cost. The project received a successful evaluation and is now eligible to receive federal construction funding in 2019. 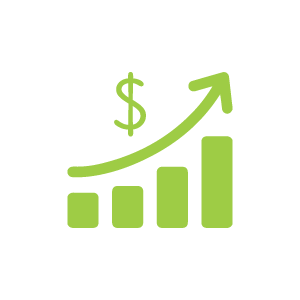 Funding for operating the CCL will come from fares and a voter-approved local sales tax that supports transit. The project team has developed initial designs for each CCL stop that include a range of transit amenities, like shelters, seating, and lighting. The team assigned amenities based on expected levels of use at each stop, in addition to feedback received at the fall 2017 open house. Now, STA is seeking final input from the community on the station designs this winter. Finalizing these design decisions is a critical step toward completing final engineering in 2018. This is a critical point for you to help the CCL project team make final decisions about the CCL station designs! STA needs to hear your thoughts to ensure stations reflect the needs and unique qualities of each neighborhood the CCL will serve. Please visit the CCL Online Open House to learn more about the CCL, station designs, and to provide feedback. Your input is key to making sure the CCL best serves everyone in the Spokane region.